The Jewish religion is the one of the oldest organized religions in the world, and places monotheism - or the belief in one God - at the center of its belief system. In addition to monotheism, the Judaism focuses on the history of God's covenant relationship with the Hebrew and/or Jewish people. The famous "ten commandments" are but the very first part of an extensive law code that sets out the moral and legal dimensions of life for the Jewish people as they live in covenant with God. Notions of monotheism, covenant, obeying commandments, and a promised land are central to the Jewish religion. These concepts are root ideas in Judaism and are expressed in the Exodus narrative of the Hebrew Bible in which the Hebrew people are delivered from slavery under the Egyptians and are led by Moses into the desert to find land promised to them by God. During these years in the desert, God communicates through Moses the many commandments that comprise the covenant relationship. Several of the early sections of the Hebrew Bible tell stories of the conquest of the land by the ancient Hebrews and the establishment of the kingdom of Israel. Judaism, like any religion its age, has a complex history and contains many different groups within it. Only slightly more than 20 million Jews live today - most of them in the United States - since many of them were killed during the Holocaust of the mid-20th century. Despite their relatively small numbers, Jewish people have made enormous contributions in nearly all areas of human achievement throughout history. 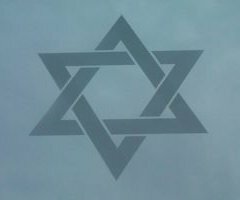 Click the links below to learn more about specific parts of Judaism.